Do stay engaged with some of the best Indian events in Dallas Metro Area in December if you have not yet booked your flights to India this holiday season. We at Indian Eagle are up with our list of December 2017 events for Indians in DFW Metropolitan Area as usual we do every month. Do laugh your heart out at a standup comedy show, drink rational entertainment out of Aparna Sen’s film Sonata, have unlimited fun at Bollywood New Year party, and seek divine blessings on religious Indian events at temples in Dallas. December 2017 will start on an energetic note for Indians in and around Dallas, with Sudarshan Kriya: The Art of Living Course in Allen. Among the upcoming Indian events in Dallas in December 2017, it offers the Desis a chance to learn and master the powerful breathing technique of Sudarshan Kriya. Break free from the stress and keep all the negative emotions at bay by learning this ancient Indian practice. India’s most celebrated female standup comedian Neeti Palta is coming to Irving in December to crack up the Indian community in Dallas with her comic timing. Of the exciting Dallas Indian events in December 2017, the show promises a laugh riot to the audience with puns, short jokes and a different perspective on humor. Do mark December 2 on your calendar for this rib-tickling standup comedy show. Good news for the Bengali community in DFW Metropolitan Area! 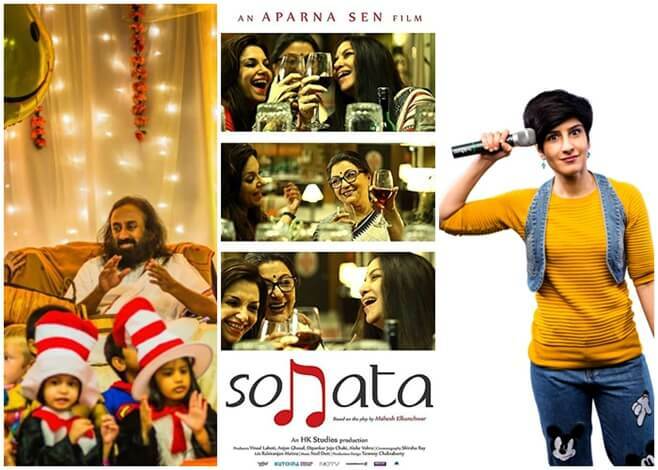 You can catch up eminent Indian filmmaker Aparna Sen’s latest directorial Sonata on December 16 in Carrollton. One of the not-to-be-missed Indian events in Dallas in December 2017, the movie is a story of three best friends and chronicles the events that take place one evening in an apartment in Mumbai. Do not miss the film as it features Aparna Sen herself, Shabana Azmi, Lillete Dubey and Sohag Sen in the lead roles. The list of December 2017 Indian events in Dallas Fort Worth Metropolitan Area is incomplete without the festival of Dhanus Sankranti on December 16. The Desis in Dallas will celebrate the Indian festival by immersing themselves in the worship of Lord Krishna at ISKCON Hare Krishna Temple in Dallas. The event also features several other religious events and mouthwatering Indian food. Dhanus Sankranti is celebrated by the Indians to mark the occasion of the Sun entering Sagittarius. The Dallas Fort Worth Hindu Temple in Irving is prepping up to celebrate Vaikunta Ekadasi in a grand manner on December 29. The festival will be among the best Dallas Indian community events in December 2017 as Indians believe that Vaikunta Dwaram or the door of Lord Vishnu’s abode opens on this day. Special prayers, spiritual discourses, bhajans and several other cultural programs will mark the auspicious event at the temple. Dallas Indians will ring in 2018 with the trendiest and biggest Bollywood New Year’s Eve Party in Dallas. An event for all age groups, it features party ballrooms for adults and kids. While adults can mingle with like-minded people, children can play it out at the party. The appetizing Indian food and sparkling drinks will be a treat to the taste buds. There is also a ballroom dedicated exclusively to play Tollywood beats. Do we need more reasons to include this among the top Indian events in Dallas Metropolitan Area in December 2017?